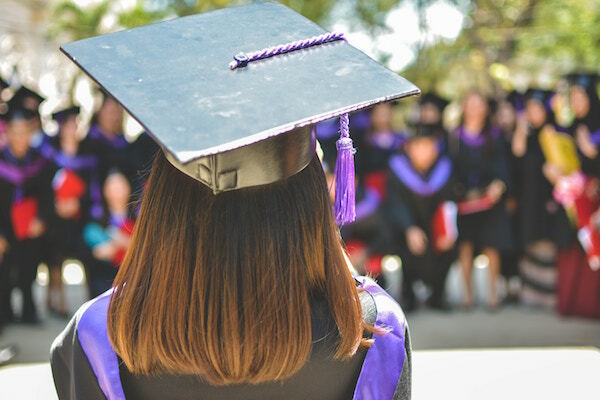 It's graduation season, which means it's commencement speech season, and we just watched many of the most widely anticipated commencement speeches of the season, pulling the most inspiring work- and career-related advice we could find. 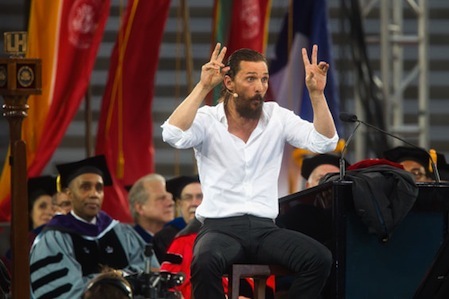 To that end, below (in no particular order) are the best of the best—the commencement speech quotes that we think, if taken to heart and put into action, could have the power to alter your career, no matter if you're a soon-to-be grad, recent grad, or seasoned professional. 2. "Today, women in the United States make 80 cents for every dollar a man makes. The percentage of women in the workforce in the U.S. has stagnated—it is at the same level it was in the mid-1980s. Less than seven percent of Fortune 500 CEOs are women. In fact, a recent report showed that there are more Fortune 500 CEOs named James than Fortune 500 CEOs who are women. And around the world millions of women face legal barriers that prevent them from working at all. Think of places where women cannot hold title to property, control their own bank accounts, let alone travel by themselves. The job is not finished. I am committed to helping solve these problems and today I am reenergized. Why? Because of you, the new wave of young leaders, sitting right here, who I know will take on this challenge along with the others facing your generation." 3. "If you’re an aspiring business person or entrepreneur, go to where the real estate is cheap and the community is strong, where new tech sectors are springing up by reinventing traditional businesses from manufacturing to media. If you’re an aspiring architect, go renovate your home town’s downtown, putting beautiful old buildings to new uses." 4. "The world is going through a difficult phase. There is an explosion of narrow-mindedness, with effort to build walls to exclude ‘others’ and an alarming rise in xenophobic protectionism. Dear students, as you go out into the big wide world, into diverse careers, there will be good times and bad. You will have your own personal problems to attend to and you must attend to them. At the same time, I must urge you not to forget your global responsibilities, and to have concern for fellow human beings whatever their religion, race, gender, or sexual orientation, and wherever they reside." 5. "Whatever path you’ve chosen, be it medicine, business, engineering, the humanities, whatever drives your passion, be the last to accept the notion that the world you inherit cannot be improved. Be the last to accept the excuse that says, “That’s just how things are done here.” ... And you should be the first to change it. 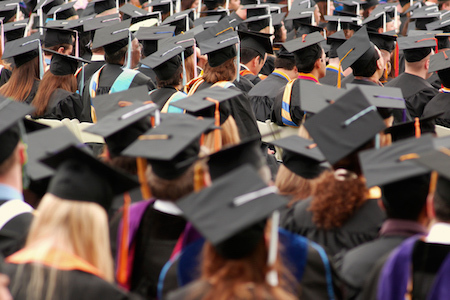 The world-class education you’ve received—that you’ve worked so hard for—gives you opportunities that few people have. You are uniquely qualified, and therefore uniquely responsible, to build a better way forward. That won’t be easy. It will require great courage. But that courage will not only help you live your life to the fullest—it will empower you to transform the lives of others." 8. "At this moment in history, leadership is calling us to say: 'Give me the effing ball. Give me the effing job. Give me the same pay the guy next to me gets. Give me the promotion. Give me the microphone. Give me the Oval Office.'" 10. "Your job is not always going to fulfill you. There will be some days that you just might be bored. Other days you may not feel like going to work at all. Go anyway, and remember that your job is not who you are. It’s just what you are doing on the way to who you will become. With every remedial chore, every boss who takes credit for your ideas—that is going to happen—look for the lessons, because the lessons are always there."